Yeah they’re connected. Course they are. 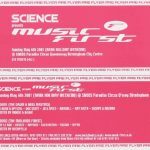 Music First returned after a 1 year hiatus along side a new event called Science on Sunday 6th May 2001. The plan was to go all in on this one for the bank holiday. 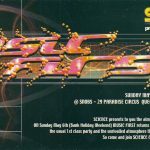 Arena 1; Ed Rush & Optical, Doc Scott, JB & Spice, Randall, Ray Keith, Escape & Hazard with MCs Moose & Biggie hosting. 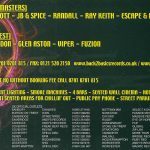 Arena 2; Jay le Roc, Devize, Rayden, Glen Aston, Viper & FuZion with MC Accapello.